Each week a guest speaker will present a selection of wines from the given region and we’ll serve up a supper dish to match. All wine tastings take place at ely bar & brasserie and start at 7pm sharp. The wines of the Southern Rhone may be more recognised- Chateauneuf-du-Pape, Cotes du Rhone etc. – but anyone in the know will tell you that all the excitement is up North. Sensational whites, many of which remain just below the radar for most of us, are matched by outstanding reds- this is the spiritual home of Syrah! This is undoubtedly a ‘fine wine’ region, producing some of the greatest wines in France, without ever reaching the astronomical price tags of some other French region. It is a wine lovers dream! This is quite possibly the most interesting and varied white wine producing region in the world. Home to a wide range of grape varieties, many with the potential to produce wines of Grand Cru status. Add to that some of the world’s greatest sweet wines. However, Alsace still suffers from being misunderstood, much the same as Germany. While there are many Germanic influences, the wines of Alsace are utterly unique and deserve your utmost attention! 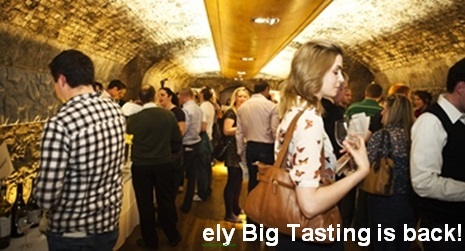 So the first ely Big Tasting of 2014 is finally upon us! Thanks to all of our brilliant suppliers, along with many of the ely favourites, we have some wonderful new wines, craft beers and ciders for you to taste. Don’t miss the new Romanian Pinot, or the sparkling wine from Hungary. Try the Ballyhook flyer or Stonewell ciders alongside some of the finest of Irish cheeses, or the organic smoked beef from our family farm matched with some great craft beers. There will also be a fantastic selection of wines from France, Spain, Italy, Australia, Argentina, USA and beyond. Bar manager at ely gastro bar, Barry Rowan will be plucking out some of his favourite Irish and International craft beers from ely gastro bar’s range of over 50 craft beers. Don’t forget to make sure you get the chance to taste the Nyetimber- an English sparkling wine that rivals many a Champagne for quality. However, the purists among you can rest easy- we’ll have some Champagne superstars there too! It’s looking like it’s going to be a beautiful day- come join us on the terrace for a glass of bubbles before, or a cleansing craft beer after! Two outstanding wines, only one place to try them. Following the enormous success of our last ‘Classic Wine Bar Experience’ we are very excited about this one! This summer’s Classic Wine Bar Experience features two lesser known grape varieties from a little known region in Spain. The one thing they have in common is that they are both the finest expressions of these grape varieties that we’ve ever come across. They have totally captured our imaginations as lovers of great wine and we think they will do the same for you. The Godello grape, native to Galicia in north-west Spain was once close to extinction but has seen a remarkable resurgence in recent times, both in popularity and in quality. Leading the pack is Rafael Palacios, who’s ‘As Sortes’ is surely the very pinnacle of modern Godello. This wonderfully complex wine shows classic Godello character on the nose – lemon, pear and white fruit followed by lightly toasty oak. The palate is rich and rounded- a result of maturing for 8 months on its lees- but cut through by a vibrant citrusy acidity and precise minerality. All of these components combine beautifully for a persistent and hugely satisfying finish. This wine will compliment most fish dishes but works especially well with monkfish. Also from the Galicia region in north-west Spain, ‘Lalama’ is a blend of Mencia (85%) Garnacha and Brancellao, with vines ranging between 15 and 100yrs of age. Mencia from old vines is now producing some extraordinary wines and this is definitely our favourite. Strikingly different to the majority of Spanish wines, this comes across more like an intriguing cross between Northern Rhone and Cote de Nuits – The savoury, spicy blackberry flavours of a great Cote Rotie, but with the silky texture and violet aromatics of a great Burgundy. This wine spends 21 months in barrel, followed by 18 months in bottle before it is released and it is drinking perfectly now. As in right now. If you’re a fan of great Burgundy, great Rhone or just great wine you should check this out. The subtlety of flavour and natural acidity make this a perfect partner for duck. This offer is exclusive to ely winebar, Ely Place. We have good stocks of both wines and hope they will see us through until August, but at these prices they could be gone sooner. Be sure to call in and try them for yourself! ely is absolutely delighted to host an exclusive evening with two passionate lovers of the Shiraz / Syrah grape. Clonakilla Winery in Australia has been receiving the highest of accolades for more than 20 years and has been described by The Wall Street Journal as ‘Australia’s greatest red wine; it is certainly one of its greatest Shiraz’s’ and as ‘one of the leading small wineries in the country’ by Huon Hooke. 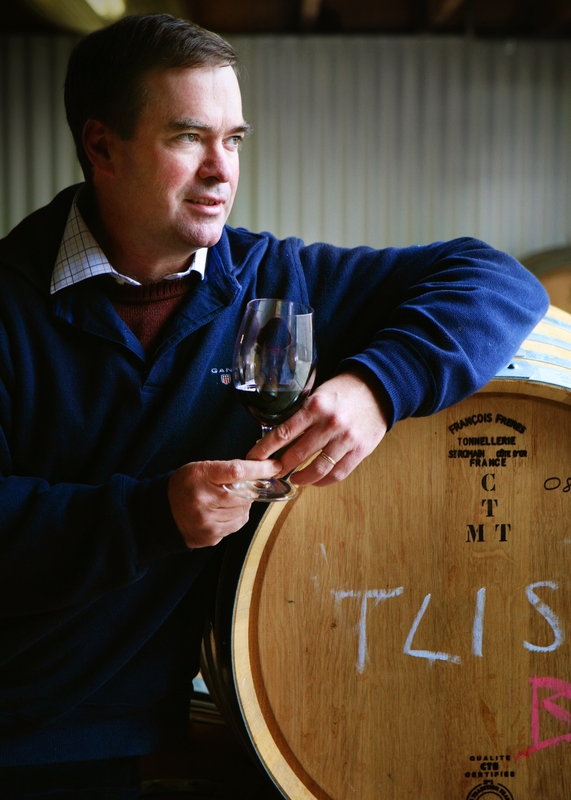 Tim Kirk of Clonakilla will be joined by Ireland’s award winning Rhone specialist Tyrrell & Company Wine Importers, who are renowned for their range and expertise in Rhone wines. Tyrrell’s has supplied ely since we first opened 11 years ago and have been staples on our list ever since. Our hosts for the night have over 50 years experience between them and are united by the passion for Syrah and Shiraz. During the evening we will hear about tales of Shiraz from Australia, France and around the globe and taste Crozes Hermitage, Cote Rotie, and other specially selected Syrah wines alongside their Aussie counterparts. Our head chef has devised a 3 course menu to match the wines and will feature the best in Irish seasonal produce. The ultimate Shiraz tasting is perfect if you are a lover of the Aussie Shiraz, Rhone reds or simply enjoy wine and want to learn more in a casual and informative atmosphere. For all queries or to book your place please contact Michelle Lawlor at wineclub@elywinebar.com or 01 6787867. For more information on all our tastings please click here. Last night at ely we made some fantastic comparisons of Shiraz, Grenache and Viognier. The original idea was to compare only Shiraz, known as Syrah in France, from the 2 most iconic producing regions. However John McDonnell of Wine Australia came up with an inspired idea – let’s look at the iconic wines of Rhone, not just Shiraz, but Grenache – the master of Southern Rhone and Viognier – the lush white grape grown across the whole Rhone. We chose contemporary Frenchies to compete against traditional Aussies in a battle of the Rhone Rangers! Grenache – a real floosy of a grape! Grenache is a fairly easy grape to grow. It flourishes almost anywhere and produces wines that can be any thing from light, juicy and alcoholic to dense, peppery and (yes) alcoholic. It’s just one of those grapes!! The key thing is to make a wine of elegance and restraint. Generally it is blended with Syrah, Mourvedre, Carignan and Cinsault. This comparison was probably the most interesting of the evening. Henschke’s Johann’s Garden Grenache was from the 2004 vintage whilst the Gigondas was a much younger wine from the 2008 vintage. It was a tough one to call and again the Aussie’s totally blew my expectations: Henschke’s wine had all the characteristics of the a French wine with delicate fruit flavours, earthy spice and lots of herb characters whilst the Gigondas was much more robust and pronounced with lots intense flavours of cherries and liquorice. If we were to taste these blind we would be hard pressed to tell which part of the world they were from! Crozes Hermitage, like all appellations in Northern Rhone, is Syrah. Cote Rotie is the one exception having a good dash of Viognier in it to add perfume, but the likes of Hermitage, St Joseph and Cornas are pure Syrah. The Syrah produced in Northern Rhone is unlike those produced anywhere else in the world. They are dense and yet perfectly fragrant with herbs, spice and damsony fruit. Northern Rhone wines are for grown ups and Yann Chave’s Crozes Hermitage is just that. From the exceptional 2009 vintage it has a velvety mouthfeel, ripe tannins and fresh acidity. We served up assorted meat platters during the tasting which really complimented the fruit and structure of the Crozes. We teamed this up with John Duval’s ‘Entity’ Shiraz. 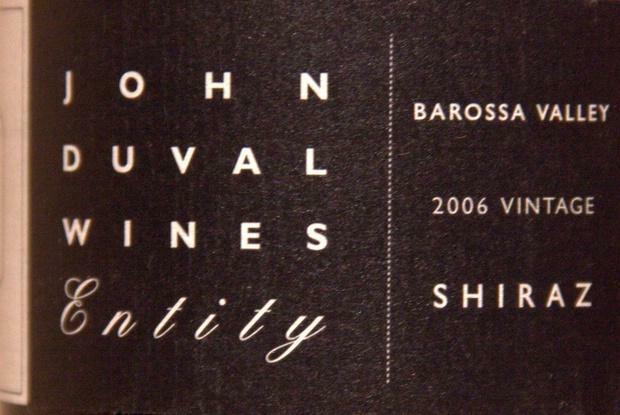 John Duval was chief winemaker at Penfold’s for a number of years and 6 years ago he went out on his own. The results are stunning and the wine is so good that you just want to sit down and really savour the coffee and caramel spices layered with cherries, raspberries and plums. It’s very hard to pick one region over the other but there was one standout wine for everyone – John Duval’s ‘Entity’ stole the show! It was ‘practically perfect in every way’! 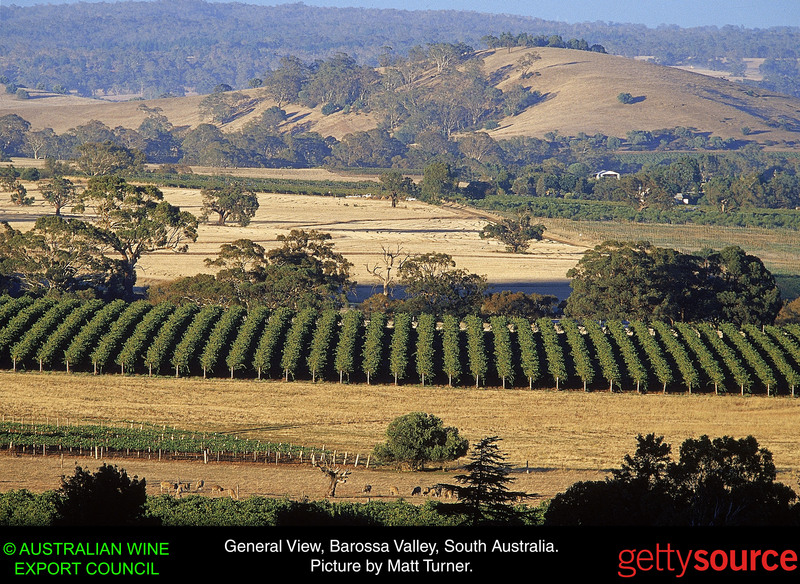 ely is currently showcasing the best in Aussie wines with our ‘seasonal heroes’ promo. Why not enjoy a glass Innocent Bystander Pinot Gris or Pewsey Vale Riesling on the terrace of ely bar & brasserie in the IFSC. Yummy! For more information on tastings and events please click here. Our first Regional Hero is the young Stéphane Ogier of Domaine Ogier in the Northern Rhône. Aged 33, Stéphane is already a hero for the Rhône Valley. He showed great promise from an early age, receiving 100 points from Robert Parker for his Côte-Rôtie ‘Belle Helene’ 1999 when he was only 22 but it is in recent years that his talent has begun to mature into a confident, consistent brilliance. Having studied in Beaune it is clear where his main influence lies. His great Côte-Rôtie ‘Lancement’ is (half) jokingly referred to as his “Musigny”. Stéphane feels much greater affinity with Pinot Noir and Burgundy than he does with the Grenache based wines of the Southern Rhône. His believes Syrah in the Northern Rhône is at it’s best when expressing cool, elegant fruit flavours of cassis, black cherries and violets with fresh acidity, fine tannins and lower alcohol levels. Much of his success however is not due to his brilliance in Côte-Rôtie but to his exploration and development of the undervalued areas of Vin de Pays in the Northern Rhône. And it is because of his La Rosine and L’Ame Soeur that we at ely think Stéphane is very definitely a Regional Hero. Barrel fermented Viognier from the La Rosine vineyard situated between Côte-Rôtie and Condrieu. This is beautiful. Medium-bodied with dramatic aromas of pineapple, apricot and citrus fruit a wonderfully refreshing acidity and is great on its own. Stéphane has had many years experience growing Viognier but this is his first vintage of Condrieu, the world’s only Viognier specific appellation. Also barrel fermented but exhibiting aromas of honey, stewed apricots and red apples. There is a tremendous underlying minerality from the granite soils. This wine is Stéphane’s ‘Cheval de Bataille’ (war horse) –this is the epitome of what he is trying to achieve – 100% Syrah it is tremendously elegant, displaying flavours of cassis, raspberries and black pepper. It has a silkiness and texture than is reminiscent of a Burgundy Pinot Noir. L’Ame Soeur (kindred spirit) is the fruit of Stéphane’s most exciting, recent project. Romans first developed the vineyards of Seyssuel two thousand years ago. The mica-schist soil here is the same as that of the northern sector of Côte-Rôtie. This barrel aged wine has many of the characteristics of a Côte-Rôtie – dark, pure, silky fruit flavours with an intense mineral core. Stéphane’s Côte-Rôtie comes from a blend of Syrah grapes grown on different parcels of vineyard on both the Côte Blonde (granite soil) and the Côte Brune (mica-schist). It is a hugely complex wine with aromas of black olives, black cherries, black currants and spice overlaid with a certain smokiness. It is wonderfully fine and possibly the most elegant of all Côte-Rôtie’s being produced today.